The property comprises a 2003 built industrial unit being metal clad with side loading doors and offices at the front. Internally the main building has an industrial/warehouse area in clear space with good quality offices at first floor and underneath a mix of offices, stores, staff room and toilets. To the side of the main building is a more recently built open fronted store and to the side of that a lean to storage area under a sloping corrugated roof. Outside there is a concreted yard plus marked out car spaces of which two are under cover. The Fernhurst Business Park site fronts the A286 just to the south of Fernhurst with both Haslemere and Midhurst being within a short distance. The A286 links with the A3 at Hindhead thus providing good access northwards to Guildford/London and southwards to Petersfield and Portsmouth which has substantially improved with the opening of the Hindhead tunnel. 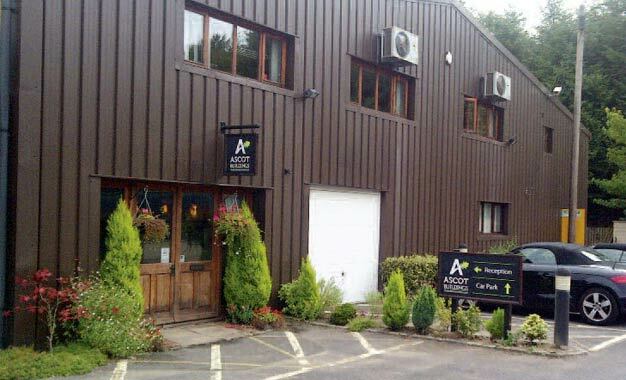 Unit 5, Fernhurst Business Park, Nr Haslemere. GU27 3HB.